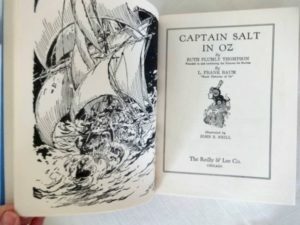 Here is a wonderful vintage copy of Captain Salt in Oz! 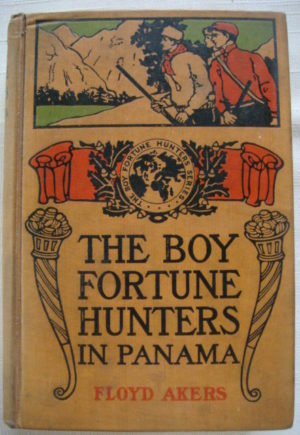 Copyright 1936 by Ruth Plumly Thompson, this is a slightly later edition with blank endpapers. 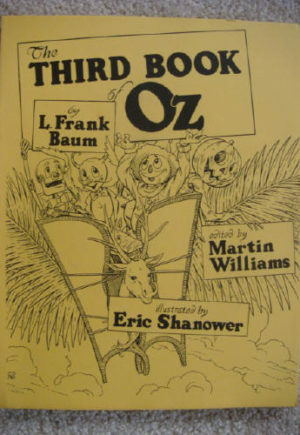 The dust jacket list titles to Hidden Valley of Oz, dating the book to about 1951. With beautiful color front pastedown and black and white internal illustrations by the famed John R Neill. 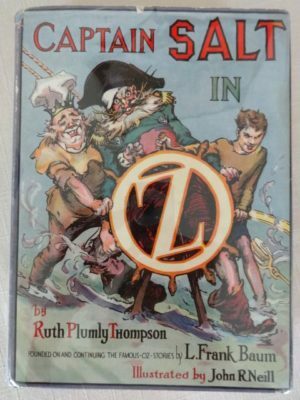 This book itself is in very good condition, with slight wrinkle and wear to pastedown; cloth and spine in excellent condition. 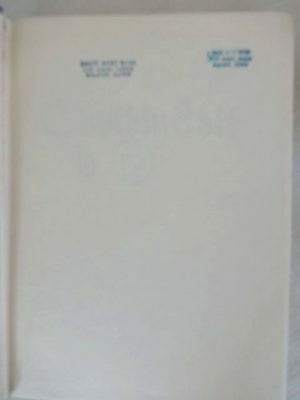 Inside, there are two address stamps from the former owner on the front endpaper; otherwise the book is very clean and tight. Nice endpapers, solid hinges and binding; no tears or soiling noted. 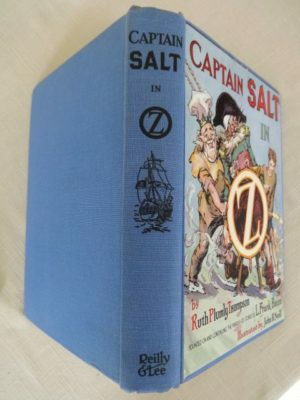 The dust jacket is very good, with a rectangular price clip on the front flap. 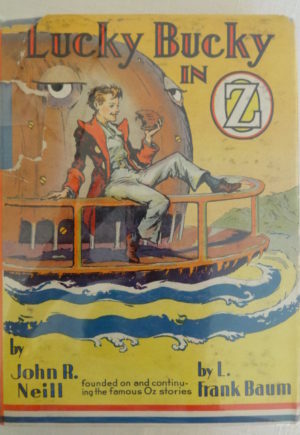 Otherwise with light edge wear. 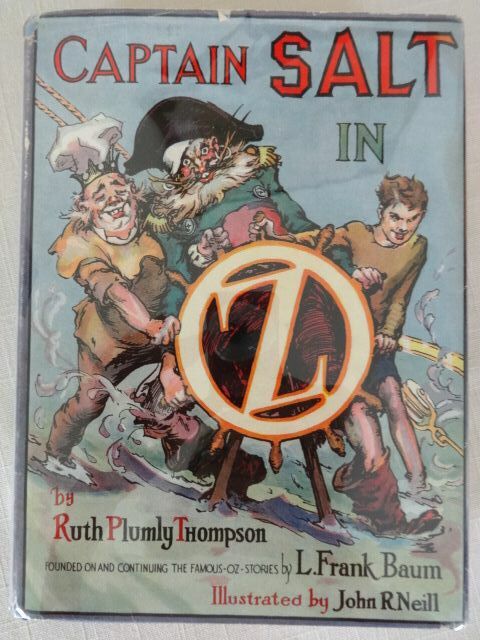 Overall, a collectible copy of a hard to find Oz title.